Open Culture (a guide to the best free cultural and educational media on the web) has recently changed domain names. Be sure to bookmark openculture.com and enjoy a salient listing of web-based learning resources. 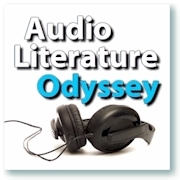 You’ll find Audio Literature Odyssey listed under Free Audio Books among a myriad of other great podcasts.